South Africa is full of natural wonders, and for animal lovers, the country's incredible wildlife could be the most tempting attraction of all. From the cute and tiny meerkats to the majestic whales, there are dozens of species that wildlife enthusiasts would love to see in the national parks and on the coastlines of South Africa - here we picked five of the perhaps less-known, yet wonderful animals of this beautiful country. Meerkats are some of the most beloved small mammals, and this is no surprise given that these highly social and intelligent carnivores are in fact really cute looking. They live in families called clans, which usually consist of about twenty meerkats, although some really big and successful clans can reach the double of this number. Meerkats, on the average, can live up to 13 years in captivity, while their life span in the wild is closer to 6-7 years. Meerkats are found primarily in the Kalahari Desert in environments that are more sandy and dry. South Africa is not only a dream destination for those who'd love to see the savannah wildlife, but also, it's adored by those who'd like to take a closer look at the incredible marine wildlife, including the almost 37 species of whales and dolphins found in the waters off South Africa. While all marine mammals are extremely popular, the southern right whales are the stars in this category, at least near the coasts of South Africa. These huge animals can grow up to 15-18 meters long, and can weigh up to 47-79 tonnes. Their life span can be really impressive too - some southern right whales can live up to almost a hundred years. For those who prefer reptiles, the mysterious and rarely-seen cape cobras could be a great thrill to see. These dangerous venomous snakes are really great at hiding in their natural environments, and their brownish, copper-like color make it easy for them to hide from the eyes of possible predators, and also to remain unseen by their prey. While these dangerous cobras are undoubtedly beautiful and mesmerizing, they are best not approached, as they can do pose a serious threat to anybody whom they attack. The aardvarks are some of the most unique-looking mammals on Earth, and not only they eat a highly specialized diet, but they also have some features that are highly specialized to doing certain things. For example, their pig-like snout are great for sniffing out food, and their sharp claws and strong legs make them able to dig out the termites' and ants' hills quite quickly and efficiently. Another impressive feature of the aardvark is the long and thin tongue, which can be as much as 30 centimeteres long. 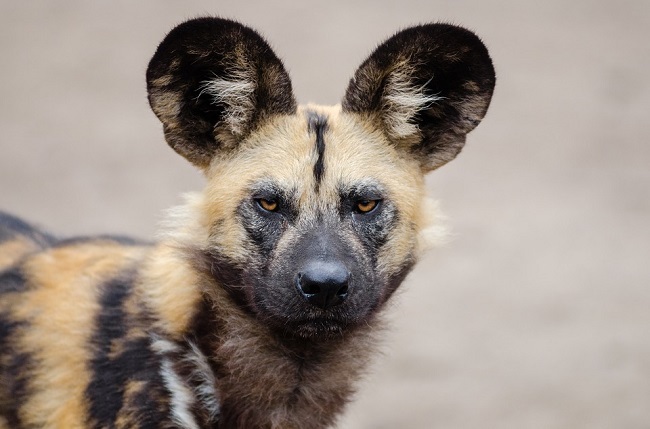 Wild dogs are some of the most beautiful doglike carnivores, and their converging families are quite an interesting phenomenon too. While, being relatively rare, they are quite hard to spot in the wild, but once you manage to see some of the approximately 400 free-ranging wild dogs of South Africa, you sure will have an experience of a lifetime.